SO many memorable moments in our 25-year company history and we we are getting to the pointy end of this countdown with one of our longest-standing, continual, events…. As we get to the end of our 25-memorable moments series, it is time to look at the events that are part of our origins. Surf Life Saving is where we started from and the Australian Surf Life Saving Championships have been our longest-standing continual event. 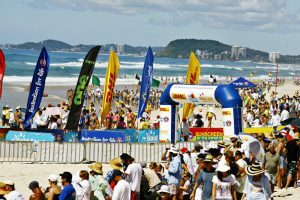 For 25 years, Sold Out Events has been supporting Surf Life Saving Australia (SLSA) and helping grow the ‘Aussies’ into the iconic and world-class sporting event it is today and every single one marks a memorable event as we look back on this partnership that has spanned a quarter of a century. Sold Out’s role at Aussies is multifaceted, and the team provide expert advice and support to SLSA for the logistical aspects of event delivery including event development, diversification and planning, site inspections, event ‘look and feel’ including signage and infrastructure as well as partner management and services on site for the sponsor activation zones. 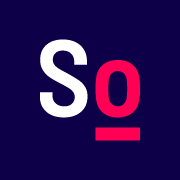 Sold Out Event’s delivery has changed over time, particularly around infrastructure, equipment and signage styles and types, plus there has been a rapid change in the integrated technology, particularly in the sponsor activation zones. One thing has remained the same and that is to ensure this event is truly unforgettable for both competitors and spectators alike.